Well... I seem to only take pictures when I work on the car so I know how to put it back together! 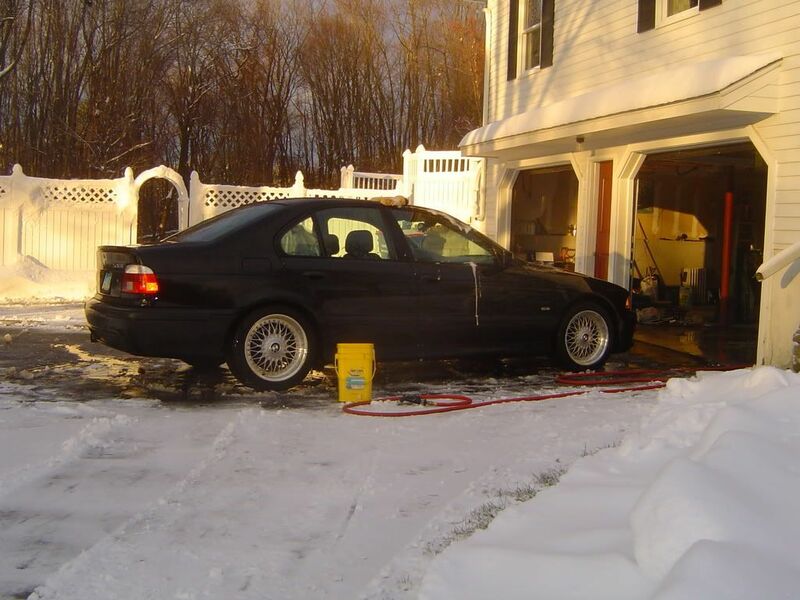 2000 528I, 94,500 miles. Sport, Premium, and Cold Weather Packages. Automatic w/ Steptronic. Ever since I discovered Sport mode in the trans my fuel mileage has suffered. Picture is from r&r of the pusher fan. It was actually very easy to do. Amazing what the car looks like with the front bumper removed. Good incentive to take some glamour shots next time! 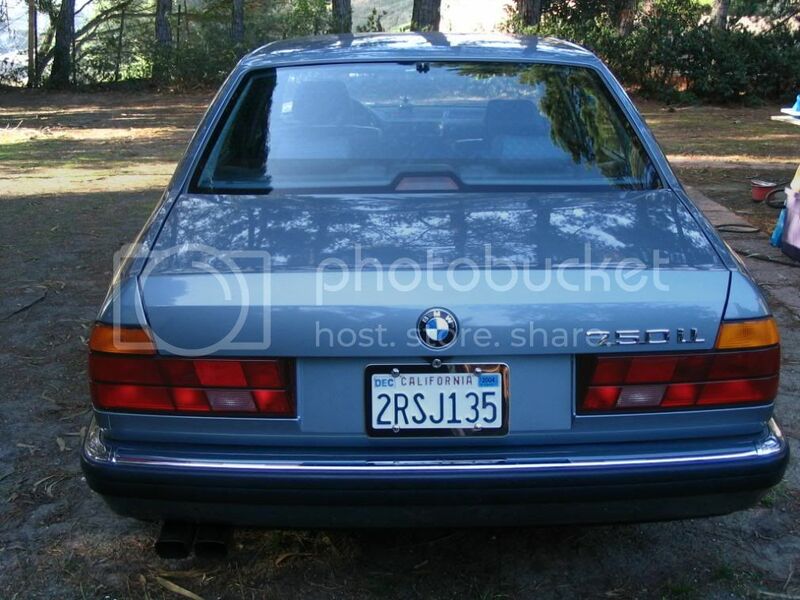 a '98 540, six speed, Sport Pkg, Premium Pkg, Summer Pkg, in BMW Individual Estoril Blue with Grey Leather with custom color matched rub strips and M-Sport Ground Effects, and M5 Trunk Lip. Mods: Dinan Stage II with Cold Air Intake, UUC Short Shifter, Clutch Delay Valve Delete, Billy Boat Muffler and Mandril Bent Exhaust (hidden for that OEM look). The Beast and his little Brother...'02 M5 and '03 540 Sport. The M5 never sees snow and has only seen rain 4 times. Got caught while moving between states. 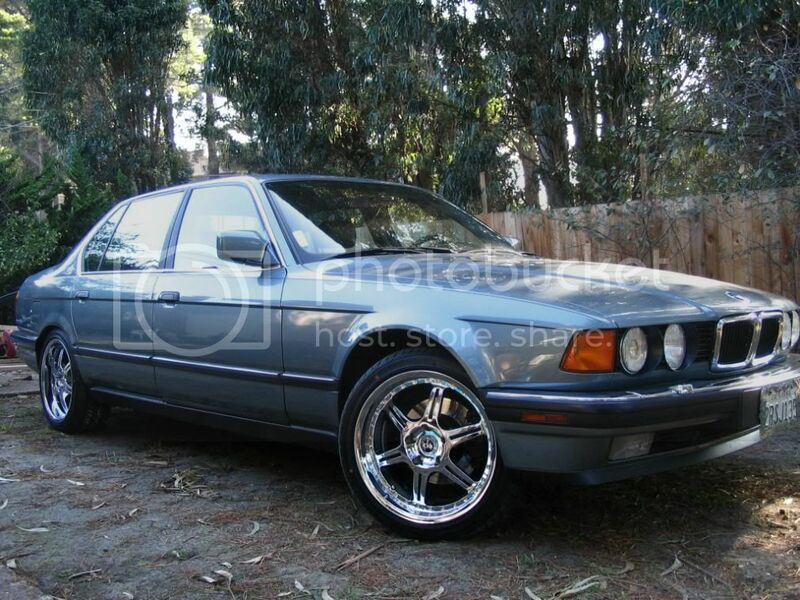 The 540 got new shoes with AC Schnitzer rims for winter. Hey EBlue540.... is that picture from a meet & greet down in Philly by an old boad yard. I think I might have been at the meet. About 3 years ago (maybe 4). I drove down from CT.
You may also remember that we witnessed a guy wiping out his car (civilian, not Bimmer) on the median of Delaware Avenue! I was warm that day, but there were some nice cars in attendance! 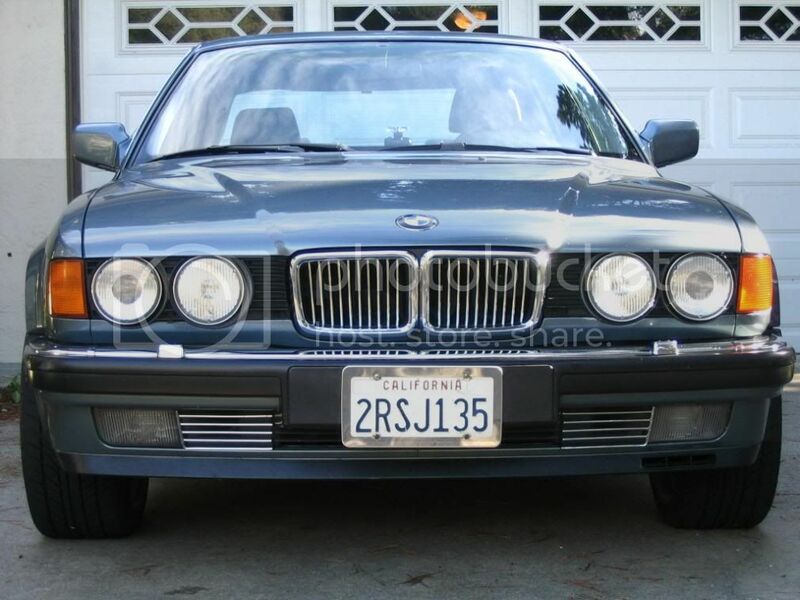 1987 528e: Auto, 535is front spoiler, Bavauto lowering springs and Bilstein sport shocks, 15 inch basketweaves from my old 92 535i. Yeap that was me and my son, and yes is was a very hot day! You have a great memory. Small world. That was my first time at that meet and I never heard of them getting together again. Do they still get together? I read the threads on tips for taking photos, and got up at 5AM, went and washed her, dried and combed her hair. Then took her to an open area and waited for the sunrise. 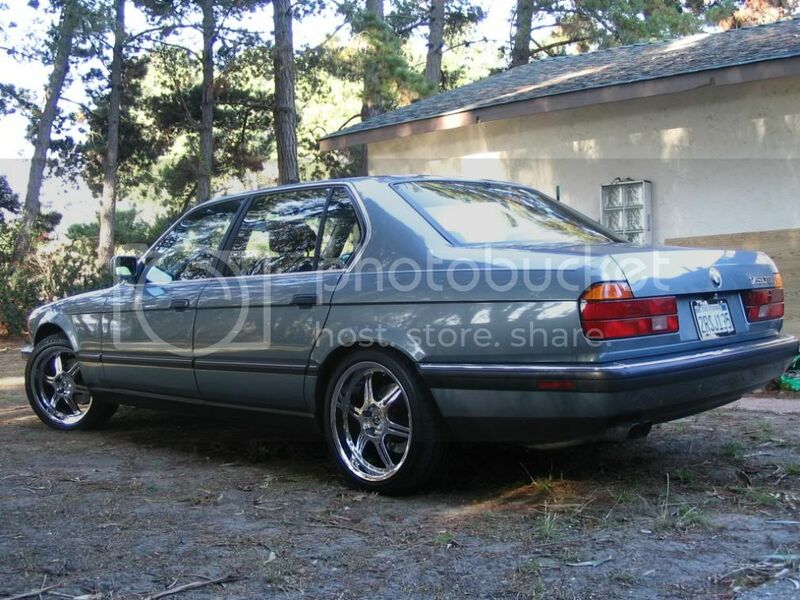 Here's a link to a few E39's that are interesting. That Estoril blue is a gorgeous color. Howdy folks, I'm new here. Suggested to join the BMW CCA by my dad. 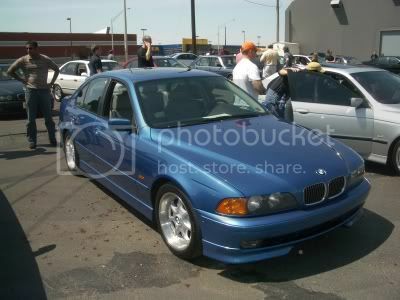 I've been a lifetime BMW fan, but I owned a Honda throughout highschool and the beginning of college. Found this gem back in January, one of my favorites from high school (along with the E39 M5). 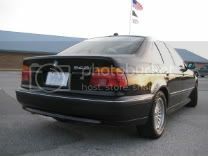 I have a 2001 540 6 speed in Cosmos Black Metallic with black leather. Several Dinan goodies under the hood and fatty exhaust sticking out the back. Don't know how much power it is putting down, doesn't really matter to me what the number is though. It hauls. From gas station to gas station! Thumbnail uploader thing keeps giving me an error message, so I guess I'll link the images themselves. More pics below at the Cardomain page. Empty fun roads are plentiful out here in western NC. 2 Additional photos... my E39 and my dad's new R1200 R.
Great idea IMO but I was flamed on BF.c cause some of the members thought it was absurd to see stock bimmers...oh well. Upgraded cooling system, 18" Stern rims, braking system, suspension components i.e. struts, shock bombs, urathane bushings, etc. BMW quoted me $11k+ and I did it with the help of my friend in five hours on a Sunday afternoon (he had access to a lift where he worked) for a grand total of...drumroll...$1800 (I s**t you not)!!!!! **Due to photo limitations, continued on next thread...my apologies.